Mai F. Nahla, Nada A. Abd-elfattah, Madiha S. Ibrahim. 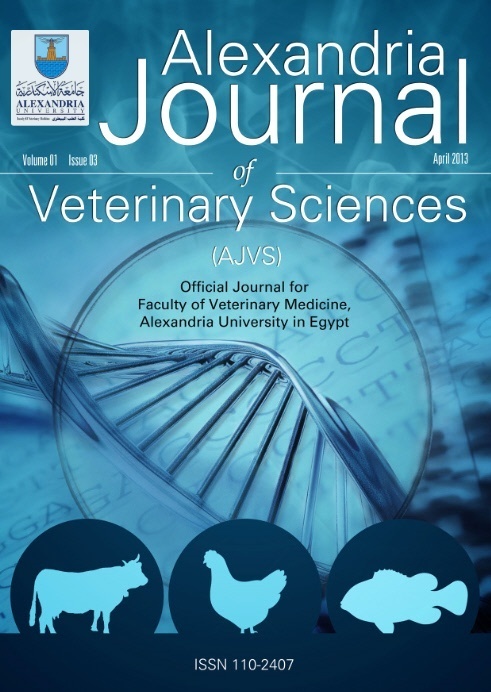 Avian influenza viruses are causing sever drawbacks on the poultry industry in Egypt requiring additional approaches together with vaccination to overcome its endemicity. On this study, twelve white Hy-Line layers were immunized with H5N1 and H9N2 viruses. Throughout the experiment (8 weeks), regular blood samples were collected weekly with daily egg collection. The purified IgY was tested for titres and specificity in hens' sera and egg yolk samples using Hemagglutination-inhibition(HI) and neutralization tests(NT). HI test showed that the antibodies titre values against H5N1 and H9N2 increased from the 1st week in the serum and 2nd week in the yolk until reaching a peak at the 4th week in serum and 5th week in the yolk. The peak was maintained over 3 weeks in the yolk of H5N1 and H9N2 and in the serum of H5N1 and over 4 weeks in the serum of H9N2 followed by non-significant decrease until the 8th week. The percentage of transfer of H5N1 antibodies ranged from 6.25% to 50% and for H9N2 ranged from 3.12% to 12.5%. NT showed that the neutralization index of H5N1 and H9N2 were toward homologous 3.9 and 5.04, respectively. Cross NT showed no egg protection with 100% death, but with retardation of the death time. In Conclusion, our results revealed the presence of significant titres of purified IgY against H5N1 and H9N2 influenza viruses in eggs and the possible role of egg yolk IgY in neutralization of avian influenza viruses.